A couple years ago, I signed up for the Academy of American Poets Poem-a-Day email list. Thinking, of course, that it would introduce me to interesting new poets, remind me of old favorites, and most importantly, help me infuse each day with poetry. Instead, the emails piled up, cluttered my inbox, and made me feel like I was falling behind on one more thing. This is not how poetry should make you feel. Kevin, as usual, was the hero in this situation. "Why don't you set up an email filter?" he asked. (And a light shone down from heaven, and the angel choir began to sing.) My filter now automatically redirects every Poem-a-Day email (as well as a few other newsletters) to a folder titled Poetry. The result? I have a (relatively) uncluttered inbox, and when I have some down time, I can open up my Poetry folder and leisurely catch up on all the poems I've missed. True, it's not the daily infusion of poetry that I imagined, but it's one of those tiny adjustments that makes life feel a bit more sane. Which brings me to the wild swans. I've been struggling like crazy with the new novel I've been writing, and turned to my Poem-a-Day folder for solace. What I love about poetry is that it can hit you differently every time you read it. 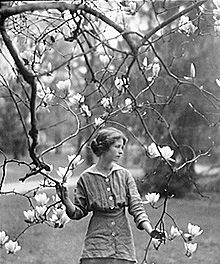 I've read "Wild Swans" by Edna St. Vincent Millay before, but this time it seemed to speak directly to the creative process. So often, I feel like what I've put on the page is "nothing to match the flight of wild birds flying." That is to say, the words seem dead and dull on the page. And so I go for a walk in the woods. When I've stepped away, let go of the tiresome heart (or mind), and simply experienced something tangible, wild, and real, then I feel I might be able to write again.